DKIM is one of many tips for increase reputation of email server besides SPF records who has been explained on previous article. On this section, i will do generate DKIM on Zimbra and configure DKIM records on public DNS using cPanel. For records key DKIM is line on () starting with “v=DKIM1…..until double quote (“). 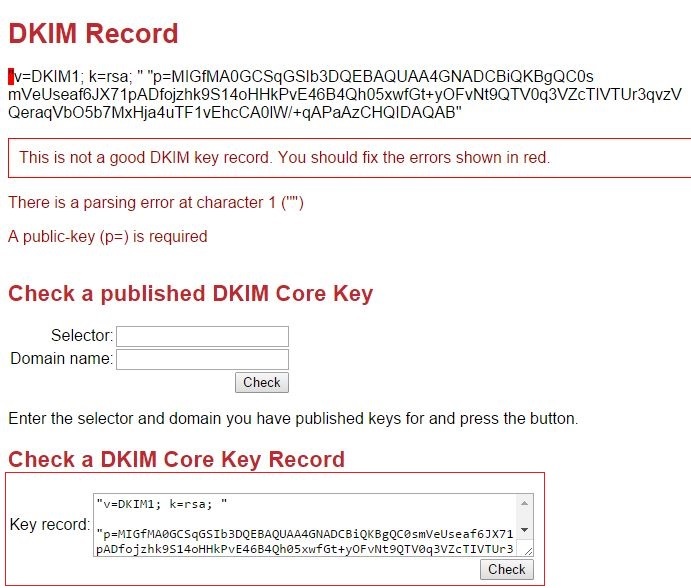 Block and copy the records and check on website : http://dkimcore.org/tools/. Paste on key record for checking and validate. Thanks for this guide. But how can I Set up DKIM for multiple domains on same host? How to generate DKIM in a a single server setup with multi domain? Error: Failed to update LDAP: Selector selector is already in use. I uses below command to generate DKIM record on my first domain. 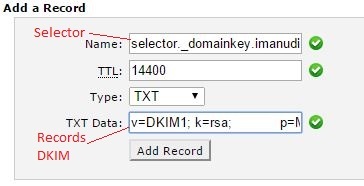 How can I customize the above command or use a random selector to generate DKIM on other domain?? Thanks for your help and great blog.. I want to create tutorial moving picture like your GIF picture. How to make it? Do the DNS need to finish propagating ? Or Do I need to define DOMAINNAME in the DNS? For instance selector._domainkey.exmaple.com. ?? how to configure multiple domain name in single zimbra mail server…. saya berhasil, namun jika multi domain bagaimana ? Saya sudah konfig PTR, SPF, DKIM, DMARC, tpi ketika saya kirim email ke gmail dan yahoo selalu dianggap SPAM, kira2 masih kurang di konfig mananya ya? hi iman i have problem with gmail. my domain cannot send to gmail.. Please help me who can! 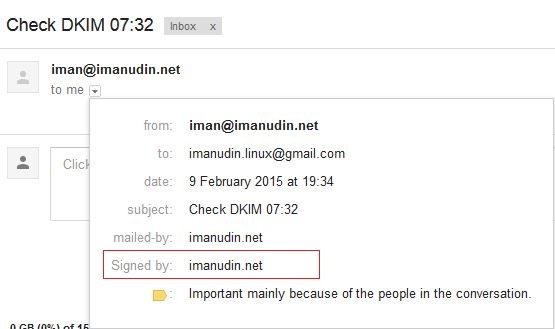 ada relay lagi apakah dkim tetap ke detect oleh gmail ? 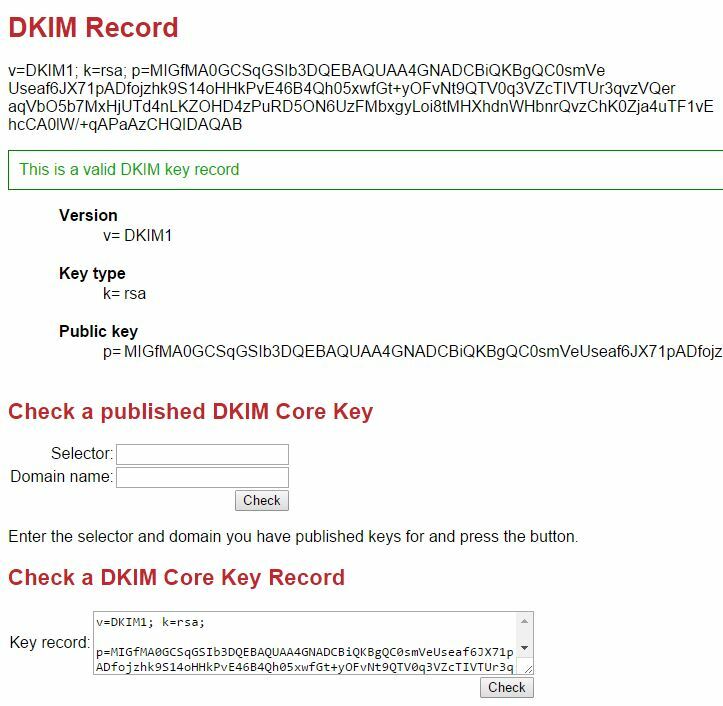 1- Do i need to add domain into zimbra server to generate DKIM keys? I ran /opt/zimbra/libexec/zmdkimkeyutil -a -d example.com and it said domain doesn’t exist. I need this to be done as some server will send out mail with external domain in FROM field. 2- If i have 2 servers, receiving mails from internal clients, How can i configure same key on both servers? Can I use the same generated DKIM for the 2nd mta? If yes how do I configure on the 2nd mta? no DKIM signature while mail outgoing from mta1 does have DKIM signature. I noticed that opendkim service is not running on mta2 and it doesn’t have opendkim.conf file. Should I copy opendkim.conf from mta1? How do I make opendkim service running on mta2? This doesn’t seem to be a valid RSA public key: RSA.xs:178: OpenSSL error: bad base64 decode at blib/lib/Crypt/OpenSSL/RSA.pm (autosplit into blib/lib/auto/Crypt/OpenSSL/RSA/new_public_key.al) line 91. 1. how to convert existing 2048bit Keys to 1024 bit. 2. how to create multiple keys for same domain uisng zmdkimkeyutil having different bits. when a user sends a mail internaly or extenaly we have this logs. we’ve updated the dkim and the logs persist. and when we remove the dkim the logs disapear. Dear, I am writing to you because it already brings me a head that should be simple, but I have not yet been able to implement it, it is dkim, I know I am crashing into something simple, could you help me see where I might have the error, tell me I sent you here to do the tests, in dkim core we are ok, but when the test in my zimbra throws a record not found, I’m almost sure that the error I have in my server dns centos 6 with bind, give me A hand to know what may be happening. thank you very much. greetings from Chile. kebetulan saya mengimplementasikan zimbra dan google apps dgn domain yg sama.